Meridian Construction & Development has been selected as the General Contractor on the North Idaho Eye Institute in Hayden, Idaho at 8378 N. Government Way. The 7,000-square-foot building is a modern design with various exterior finishes and other work includes site improvements and landscaping. The interior layout will consist of 11 exam rooms, a Lasik room and a visual field-testing room plus staff offices and support areas. The project is approximately 7 months in duration at a cost of $2,000,000. The architect is Longwell + Trapp Architects from Hayden Idaho. Learn more about Meridian Construction and Development at meridanco.com. Connoisseur Concerts' 41st Annual Northwest BachFest will mark a major change in the festival's schedule with the addition of concerts in May along with a week-long festival in March. When Artistic Director Zuill Bailey assumed leadership of the esteemed music festival in 2013, his vision was to expand the two-week festival into a year-around series and to expand the Festival's cultural reach outside of Spokane to regions surrounding. Steps began first with Winter Classics Tours in December and more recently with Summer Classics Tours in August. That vision for a year-around musical presence will be realized in only five years as 2019 features a new presentation plan: A one-week Festival focusing on some of J.S. Bach's monumental music March 3-10, with another BachFest week taking place May 24-29 focusing on the works of master musician Scott Joplin. Mozart On A Summer's Eve in July, BachFest Summer Classics in August, BachFest Winter Classics in December, the expanded BachFest programs in March and in May give Northwest BachFest a consistent year-around presence with five series of concerts. Concerts will be anchored in Spokane in a variety of landmark venues with regularly scheduled concerts also in Coeur d'Alene, Sandpoint, Walla Walla, and occasionally in smaller towns in the region. Citizens are invited to learn more about the project at a public open house on Wednesday, October 24, from 5:30-7pm at Pride Prep Charter School, 811 E. Sprague Ave. The meeting will include information on recommended project phasing, scheduling, and construction approach. The project will include new pavement, a three-lane configuration, streetscape improvements, lighting, signals, water main replacement and stormwater work. Citizens and business and property owners were asked earlier this year to provide feedback on the project elements. 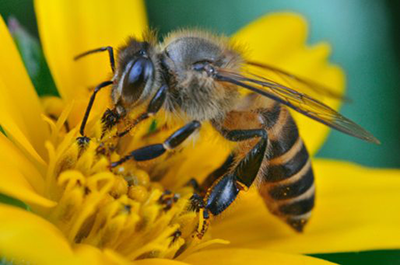 Eastern Washington University Assistant Professor Jenifer Walke, a biology instructor, is exploring ways to protect one of nature's most important pollinators, the honey bee, and has been awarded a grant from the National Science Foundation (NSF). Walke's research interest is focused on studying beneficial bacteria in the guts of bees, is receiving $208,415 over four years from the NSF's Division of Molecular and Cellular Bioscience (MCB), Systems and Synthetic Biology program. Walke will be collaborating with researchers from Virginia Tech as part of an overall NSF grant of $958,415. In explaining the research, Walke points out that all animals contain complex communities of bacteria and other microbes, known collectively as the microbiome. These microbes perform many important functions for their host, including defense against infection by parasites and pathogens. By studying these complex interactions in honey bees, her research could ultimately provide important insight on how we might be able to manipulate the microbiome of humans to improve health. As part of the grant, Walke and her team will develop a computer science and biology-based outreach module for elementary school students. Teachers and students will be guided through the process of building and coding computers, which will then be used for student-driven projects based on the research datasets. Walke's work with honey bees on the Eastern campus has been featured in The Inlander, and you can learn more about her work at www.walkelab.com. 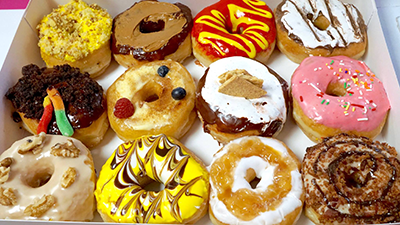 Amy's Donuts fourth location will open October 25 at 11519 E. Sprague Avenue in an approximate 3000-square-foot space with inside seating for about 50. The location was formerly a Mexican restaurant. Amy's offers dozens of types of donuts including maple bacon fudge, cotton candy, vanilla cheesecake, chocolate donuts and many more. Toppings include cereals and candy bars, and more. And they always have seasonal offerings. Amy's Donuts will be open 24 hours a day, 7 days a week except Thanksgiving and Christmas. The website is amysdonuts.com. Open Doors, operated by Family Promise, is moving from its current location at 631 Richard Allen Court, in the South Perry District, to 2002 E Mission Ave on the corner of Mission and Napa. The move should be completed by December 5. Family Promise of Spokane is a non-profit that has been working with homeless families in Spokane for the past 21 years. Open Doors is the first emergency shelter for homeless families in Spokane. It is open 7 days a week, 24 hours a day, 365 days a year. They differ from the standard clinical feeling shelters because Open Doors is designed with a home environment in mind. Over 65% of the families that come through the doors are able to find either permanent or transitional housing during their stay at the shelter. Some of the amenities are overnight stay, showers, laundry, fully stocked kitchen, kids play area, baby area and daily case management. Get more information at FamilyPromiseofSpokane.org. Spokane Score Chapter 180 presents this week's workshop, Marketing and Sales Essentials: How to Find Customers and What to Do With Them, this Wednesday, October 17. Gain insights into how to identify your prospective customers, how to attract them to your business, and how to get them to buy your products and services. The workshop will be held at the SCORE office, 801 W Riverside, Suite 444, from 8:30am-12:30pm. For more information and to register, visit spokane.score.org. "Leaders don't create followers. They create more leaders."